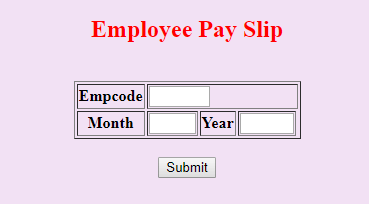 In this post, we are providing notes on “TS Employee Payslip Details”. This notes will be useful for Telangana government employees for obtaining their monthly wise Payslip details. We hope that the following steps might help you get complete details regarding Telangana employee salary details report. 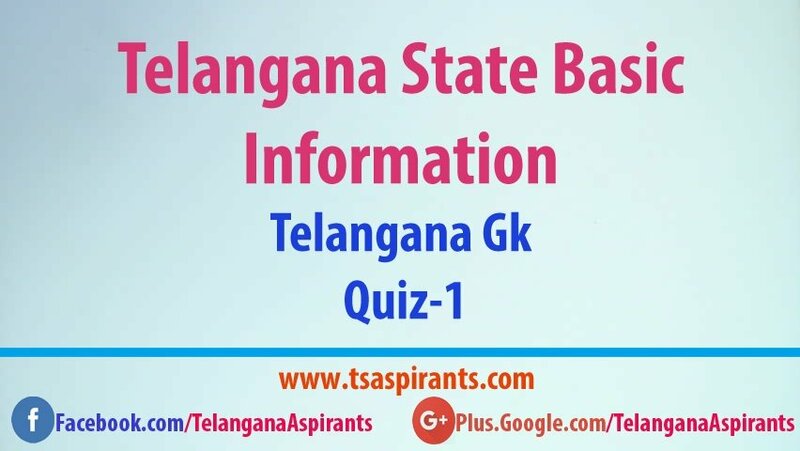 If you’re looking for ts employee payslip details, then you’re in the right place where you can download your Telangana salary pay slips online with a single click. 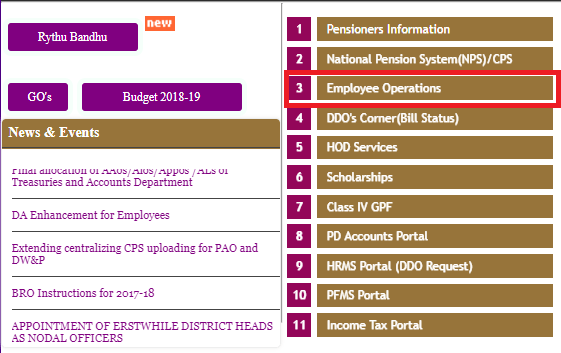 Telangana government introduced a simple way to download employee payslip details on their official employee resource portal. 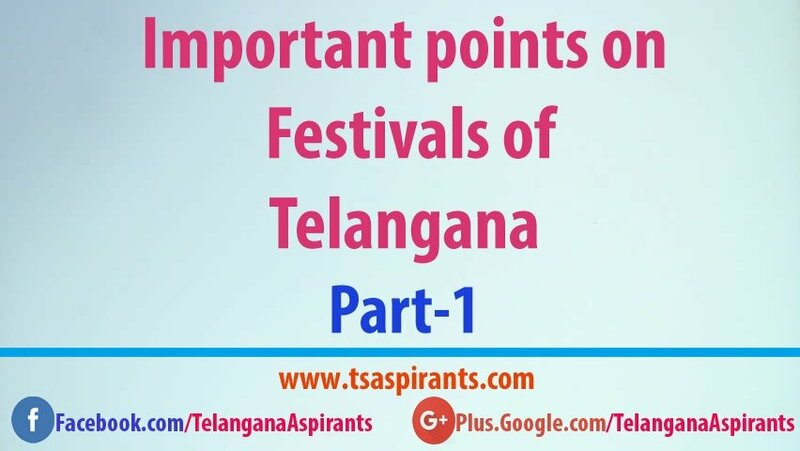 As we know employee salary payslip details are very important while applying for tax returns, GST, personal loans, employee home loans and other bank loans offered especially for Telangana government employee. You don’t have to wait for several days or any password to obtain your salary payslip online, all you need is Employee ID given by Telangana government and you can select any month & year for salary slips. Step 2: On the right side of the webpage, you’ll notice the “Employee Operations” menu. Click it. Step 3: Another web page opens in which there are lot options such as Pay particulars, Class IV GPF information, TSGLI Account slip, Employee Payslip, AG GPF Account slip, NPS transaction statement. 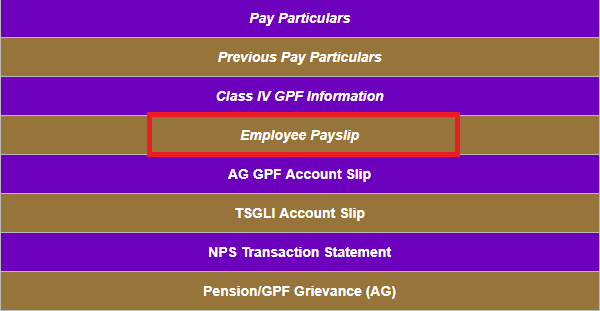 Step 4: Please select “Employee Payslip” option, which takes you to the official employee payslip details section. Step 5: Just enter the “Employee ID, Month & Year” in the give boxes and Click “Submit” button to get your results.